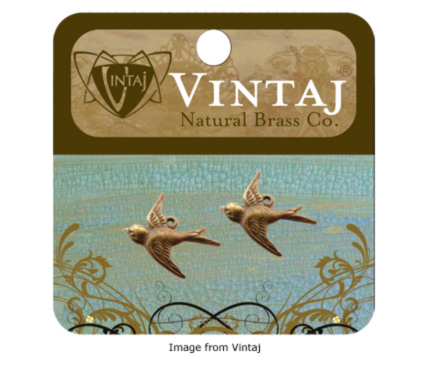 You may know that Vintaj has oodles of jewelry findings and embellishments to jazz up your jewelry designs. Did you also know they have weekly giveaways for readers of their blog? They randomly select a comment from all that are submitted during the week to pick the lucky winner. Be sure to check out Vintaj often and let them know what you think. You might just be their next winner! While you are there, be sure to look around their idea gallery for lots of inspiration. I have a nice stash of vintaj brass I really love the colour of it. Just started making a few pieces with it. They do have some fab ideas to get you started. Love them!